That makes a lot of sense. As for me, my girlfriend and I have a vague plan of maybe 3 more years before we marry. She has an extra semester to do after I graduate, and I might end up doing a masters as well, so we aren't rushing anything. Also, I'm glad to hear about your knives! That's exactly why I like giving them. People should be able to use them for many years, and I feel like that is the point of a wedding gift. 24 years from now they won't remember me having paid the equivalent of a meal on their honeymoon, but they could still be using the knives which cost the same amount. Call me the grinch, but they'll probably just return the knives and get the cash anyway. Most couples are living together and so already have what they need for the home. I don't mind giving cash for weddings. The honeymoon sounds absurd, and Disney is not my thing, but if I knew them and liked them, I'd give them what they ask for. I married in undergrad and we did grad school married as well, and it was wonderful. Admittedly, we started college late, and we both had full time jobs and no debt the whole time, so maybe a little different than these folks. We were given a large gift to help pay for our wedding, but we didn't need it. I do make more than my husband, and always have, but it's never been an issue (or much of a topic of discussion), so I can't really comment on that aspect. I bake almost all of our bread from scratch, so having a good knife makes a ton of difference. I think this is the one: [link=https://www.amazon.com/Tojiro-Bread-Slicer-270mm-F-687/dp/B004LVIO3O/ref=sr_1_4/134-9285627-2794216?ie=UTF8&qid=1533827937&sr=8-4&keywords=tojiro+bread+knife]click[/url]. Goes through like butter. Especially after my old crummy knife, sawing through and ruining the crust. I see what you're saying, but in this particular case, I know that they were both living in the dorms last year, and the guy has been renting as one of my housemates this summer, so they don't really have much in terms of household supplies for when they move in together later this month (they are both from halfway across the country as well, so it is unlikely they will be flying back here with a lot of stuff). Also, I know the guy likes cooking (I don't know his fiance very well). I just have a hard time convincing myself to give money when I know all of it will just go toward Disney World...maybe I shouldn't have asked him about that! I totally like the way the trend is going to give money instead of *things*... but that's just me. I don't know about any debt she might be paying off, but she makes in the 50k range (our salaries are public info) and I see her going on a lot of vacations/ to concerts..etc. Goes out for lunch everyday too. Hopefully, she takes some of what I said to heart and it helps her. CW1 just bought a fancy new car. Probably a slightly above average cost one. I've spoken to CW1 in the past and they readily admit they should know more and be better about spending, but just can't do it. They are smart technically but intentionally bury their heads in the sand regarding money. I've tried to to convey some basic suggestions, but its 'too hard'. Its frustrating. These willfully ignorant types tick me off down the road when their hands outstretch for help. CW2 brought up CW1 and talked excitedly about the new car. I told CW2 it would have been nice if CW1 could have at least found a nice few years old car. CW2 explained...well you HAVE to buy a first NEW car sometime. Someone else here just rolled in with a new 'track' version corvette or something. Its amazing how much money is sitting in our parking lot. A lot of very smart, remarkably idiotic people here. More than a few even recognize their poor habits yet keep on keeping on. The weirdness in pay is partly from DH earning ZERO, for more than year, and living off the wife's (low, because first "career" role) income. I found that a differential in income, even if fairly large, matters less as people age, and if they have been earning their respective incomes for a while before getting together, because a low income is still self supporting / validating. That's different from a student virtual "ZERO" income for an extended period of time. Sir Tom -- I agree that pooled money gifts are not great. There is zero memory of the people attached to the gift. It just avoids bad gifts, is all. I do give cash at weddings, but usually for people that I don't know very well personally, or well enough to buy a gift for, or logistically I don't see them normally, and can't physically get an actual gift to them, so money at the reception is a lot easier for everyone. We've been in this situation a few times; both with my husband not working and me not working. It's never been weird at all. Our marriage has always been a partnership with pooled resources- who makes the money is of zero consideration. There has always been a reason for no income (student, recently laid off, medical, haven't found a new job after a move, etc) - neither of us ever didn't work out of laziness. Get over it, they'll be returning the knives for cash. Giving them knives is just an inconvenience, you accomplish nothing but annoyance for the sake of feeling smug. The entire point of the registry is to avoid the gaffe you are committing. Now they have to feign a smile and do an awkward thank you for something they didn't desire at this point; don't be a jerk and tell them how they'll appreciate it in the future either. Have you ever received a gift you didn't want? Like wool socks when you're five, five year olds don't want socks, they want toys and games (I want wool socks, but I'm old). I give my five year old socks because thats how kids learn to feign smiles so they can avoid creating scenes in the future when unwitting gift givers think the world should conform to their values and not to the recipient. Don't worry, she still gets toys (I'm not a real ginch). Its still an idea I dislike (an overly expensive honeymoon, ugh), but don't compound the errors. We can teach people to become mustachian, don't force it on them. When giving a present, it's not about what you value/want. It's what the giftee values/wants. ...Its still an idea I dislike (an overly expensive honeymoon, ugh), but don't compound the errors. We can teach people to become mustachian, don't force it on them. One thing I don't get at all are big weddings with honeymoons and big gifts and a wedding registry etc. Although I've personally never been to a wedding like that, in our social circle people tend to have really low-key weddings. I only hear other people's horror stories. Half of people get divorced anyway, and sometimes I think that there might be a correlation between big expensive weddings and divorce statistics. Nice fellow at work leaves the parking garage behind me and notices that I have a different car than he remembers. I notice he also has something different in my rear view mirror but think nothing of it, whatever. Nice fellow wants to tell me about his new car though so he uses the chance encounter to ask about my car and I reciprocate with the question about his. My car: 2015 Honda CR-V bought in January 2018 at the Alfa Romeo dealership. They had it as a trade-in sitting on their lot since September 2017 with only 15K miles and I snapped it up for cash at a great price, and it has all the premo stuff. I got rid of the car I had been driving for 9 years up to this point which had also been bought as a 5YO used car (it was a 2004 model I bought for cash in 2009). His car: 2018 Alfa Romeo Stelvio, coincidenally bought at the same dealership this month. He ordered it special and it has all the premo stuff. Payments. He is 60 and will be working a while longer since he is aiming for the company pension and SS as he knows you are expected to do, no thought of any other plan. He seems very content and is pleased as punch about his car, just absolutely loves it. I see the same car and it makes my skin crawl, I just couldn't do that with my money, but I nodded with enthusiasm and didn't question the choice at all. Not my business. The guy talks about wanting to retire now and again but is not a big complainer so I think he is living the life he wants. But to me the difference is so stark when you compare goals and life plans and habits of consumption. The fact that we bought the cars at the exact same dealership with drastically different mindsets is interesting indeed. It makes me wonder if there will be a shadow of doubt crossing his mind about the choice when I leave as an extremely early retiree and he is still there. Probably not though. I've only been through Dusty once or twice, and didn't remember it, had to do a google map lookup. I can visualize the flapping payment book. Nice turn of phrase. Wtf is a hunker down mode? 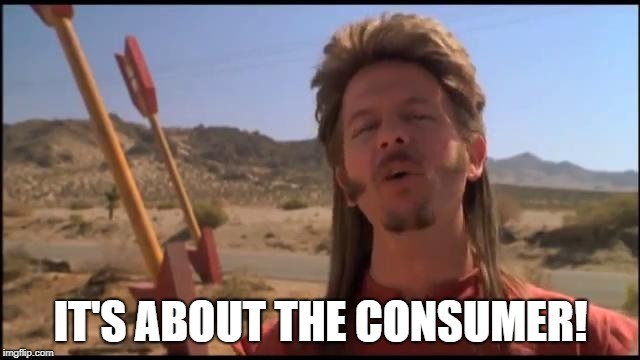 Did you buy his trade-in? I assume he was referring to some kind of sport mode. Not familiar with the Alfa but most higher end vehicles have semi active or active dampers with tunes that can completely change the character of the vehicle. Some of these cars will also lower the suspension when they are put into sport mode. Don't know if the Alfa-Romeos have this feature. 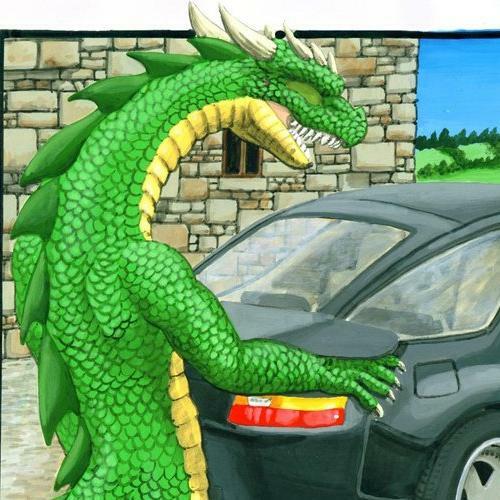 It's what sports cars do to avoid detection by lusty dragons. Coworker age 65 recently spoke to me about not being able to retire for another 5 years or so as he need the max SS benefits due to very little savings and only a small pension of a few hundred dollars a month. He has been an engineer for over 40 years. Today he asked our HR person for (another) 401k loan to pay for his 13 year old dog's intestine surgery. This is the second such request this year, with vet bills now over $15k. Mmhmm. Some of them will even wrap themselves in chrome-like vinyl (to the tune of 6K) so when they slink around corners the sun will reflect off the coating and blind and/or disorient the dragon. If you're really determined you can try their proving grounds where they are known to frolic by drag racing or catch one separated from the herd as it pulls out of the temperature controlled garage of a McMansion. There is a starbucks near our workplace, so it's not strange to see their products around our office floor. But lately it seems like a bunch of the younger co-workers are walking around with Starbucks Water. It's in the same plastic cup with long green straw, but it's...water?!? Are they refilling their cups from a previous purchase to use at work? Starbucks gives you tap water for free. Some charge 30 cents or so for the cup though. That would have been me at my old workplace. We had a lot of breaks where everyone would go down to the neighbouring Starbucks and I would go along to stretch my legs and generally got water. I never was charged. Probably because my coworkers were spending so much. Finally, an explanation of the Citroën. In my old workplace there was a coffee selling place nearby as well. Some colleagues would buy the fancy coffee for the group of coffee drinkers and with that morally compel the group members to do the same thing back next time. I work in the federal government and am helping my boss out with reviewing resumes for a new hire. I'm a GS-11 which has a base salary of about $62,000. The position being advertised is also a GS-11 but two people who applied made far more so my boss called them to find out why they applied for a job with much lower pay. One guy was in a HCOL area and wanted to be closer to family in our LCOL area. The second guy was local and worked for a different federal agency as a GS-12 making $94,000. When we called him to find out why he was willing to take such a dramatic pay cut he said he thought he could get the job bumped up to GS-12 and basically match his current salary. When my boss informed him that wasn't going to be possible he mentioned he had three kids in college and had just bought three new cars so he couldn't afford a pay cut. I don't know if he meant three new (used) cars or three brand new cars but WTF. Maybe his kids got a lot of scholarships or his wife has a good income as well but I can't imagine buying one brand new car, let alone three at the same time. What sort of obligation, if any, do you feel to caution your friends or "work friends" about the consequences of their profligacy? A former colleague of mine is about to be medically released from the military where she earns about $80k/year. Insurance will provide her with 75% of her previous pay for 2 years, then she'll get a pension worth about $30k/year. She's amassed over $40K in consumer debt while earning $80k, so she needs to adjust her lifestyle - but doesn't see the need. She has little home equity, a high school education, has moved back to a community with high unemployment, and has pegged her financial future on Veterans' Affairs reconsidering a claim that they've already denied, and plans to sell movie ideas to Netflix. She has few transferable skills and a condition that causes her to be in chronic pain, so her employment prospects are very limited. She could fix her situation by using the insurance money to pay off her debts if she slashes her spending now, but how do I point her to the right path without telling her that her plans tantamount to magical thinking? Even though we don't have much in common, she's a sweet person, and I don't think that she has anyone else in her life to point her on a less destructive path. What to do? @Sun Hat If she is a good friend, I’d just invite her out for a meal to catch up, casually ask about her upcoming plans now that her discharge is imminent, and then show her the math. While her Plan A is to have the VA reconsider her claim, I’d ask her what her Plan B was “just in case” VA denied her claim. It is a theory of mine that the correlation exists because the people are married and get along only while the money is flowing. Once the trips down south, the new cars, trailers, and new iPhone purchases stop because the credit cards are maxed and the line of credit is tapped, the people realize that they don't really enjoy their partner, and were only getting along/having fun with him/her while there was money to burn. Does the inverse hold true as well? We had a €500,- wedding! how do I point her to the right path without telling her that her plans tantamount to magical thinking? You set your own example, and talk it about enthusiastically. That probably won't work, but it has the best chance of working while not causing a rift between you and her as she gets offended that Netflix isn't going to pay her millions. Yr2: 60k income, 25k spending, debt 5k -->0k, savings 0k-->25k. Yr3 and thereafter, 30k income, 5k spending, savings 25k+5k pa.
That's not huge savings but if she's receiving some sort of disability pension from her military service then she will have zero medical costs, so her savings can be for small investments, hobbies, or travel. But she almost certainly won't do it. People don't engage in magical thinking for just a year or two out of nowhere and then stop, it's a lifelong practice. Digging further, you'll find similar thinking throughout her life, let me guess: is she also single and dreaming of a 6'4" handsome rich charming educated man who sweeps her off her feet one day? So when I say that you should discuss your own example in a conversational way, that's not in expectation of any positive change on her part as a result, but just so you can get it out of your system. Thanks for the feedback @Kyle Schuant and @Freedomin5. One of the few things that my friend and I have in common is that we're both women who were/will be medically released from the military. Our pensions will even be of a pretty similar amount. For me, the 70% reduction in income wasn't a big impact to my daily spending, as I had been saving over 60% of my pay anyways, so I just downsized from my almost-paid for home to a totally paid for home and called it a day. Kyle Schuant is right, hers is a lifetime of magical thinking and poor financial management. Fortunately, we're Canadian, so medical costs aren't a significant factor. I think that Freedomin5's suggestion of asking about her Plan B is a good one, and far more tactful than anything that I could have come up with on my own. Unfortunately, I won't get to see her face to face, since I only saw her while she was passing through my city enroute her retirement destination and she was traveling with her 14 year old daughter, and I didn't want to shake her by the collar and call her crazy in front of her kid, so I just smiled and nodded when she told me her situation. I'll have to make my query by email. ... but how do I point her to the right path without telling her that her plans tantamount to magical thinking? Even though we don't have much in common, she's a sweet person, and I don't think that she has anyone else in her life to point her on a less destructive path. What to do? I'm not very good at this, but I've seen others employ this method to great effect: ask questions. Don't (outwardly) judge them or say that they're in dreamland. Ask the questions that will force them to actually think through their future. Freedomin5 is on the right track--ask what plan B is. Ask how much it'll cost to live in her new place. Ask what kind of jobs are available there. Ask how she sees her life in 5 years. Ask the "what if" questions. Ask her what makes her think the VA will reconsider the previously-denied claim. Ask her what her actual spending is (does she even know? ).